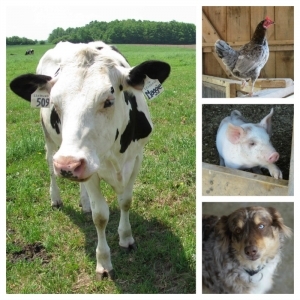 There are a variety of ways to learn more about Mapleton's Organic Dairy and life on the farm. We currently offer two different enewsletters. Please feel free to sign up for one or both! 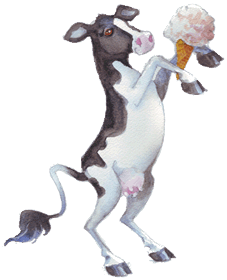 Each month we send out an enewsletter with farm and product news. Our goal is to provide educational information about farm life and keep you informed of farm happenings. To sign up for our Monthly Enewsletter click here! 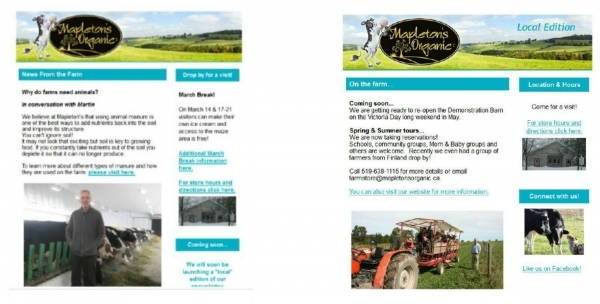 This enewsletter is designed for individuals interested and/or able to visit the farm. Information such as farm activity updates, café lunch specials, and product availability will be included. We expect this edition to be sent 1-3 times per month in the summer, and a little less frequently in the fall and winter. To sign up for our Local Edition Enewsletter click here! *If for some reason you no longer want to receive news from us, all of our enewsletters offer an unsubscribe option.